Take a look at Faye's sample project, and see how she worked with Havenly designer Kylee T. to go from initial ideas to a final design. Your designer will provide 2-4 examples of initial ideas based on your inspiration.To guide your designer’s direction, tell her what you like or dislike about each idea. 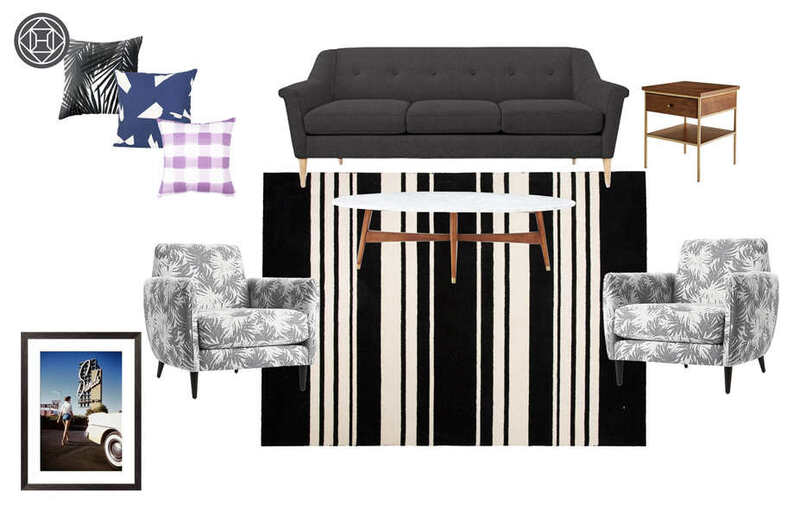 In the first idea, Kylee created a space that mixed gold accents with modern lines and simple patterns. 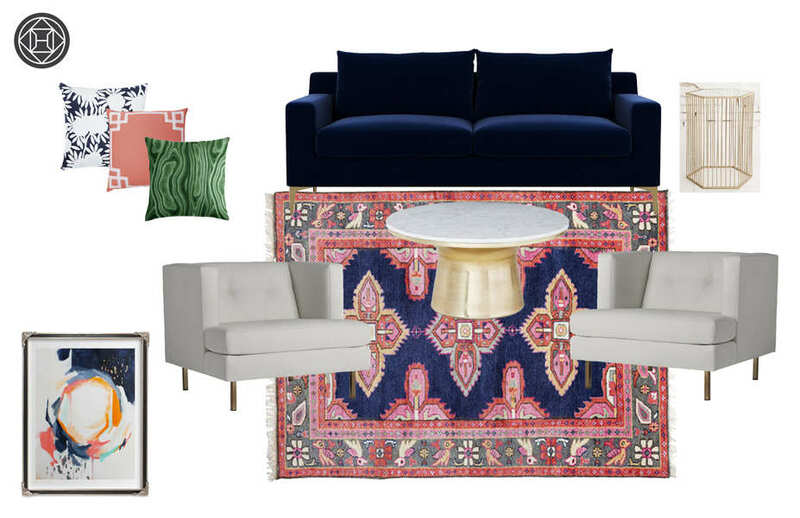 Using bolder colors and more organic patterns, the second idea has a preppy boho feel. 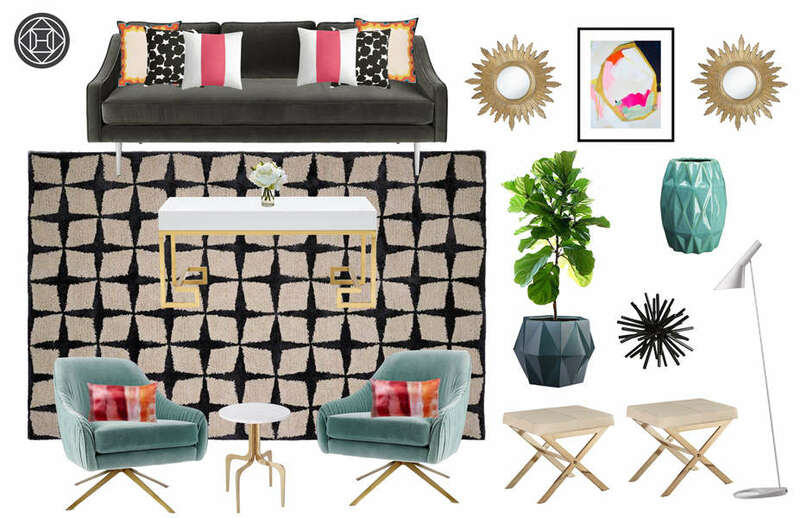 Rounding out the initial ideas, Kylee combined gold accents, clean lines and a neutral palette. Your designer will provide two different concepts, complete with product suggestions for you to review. Once you’ve shared your feedback on products and the design ideas, your designer will start working on your final layouts. 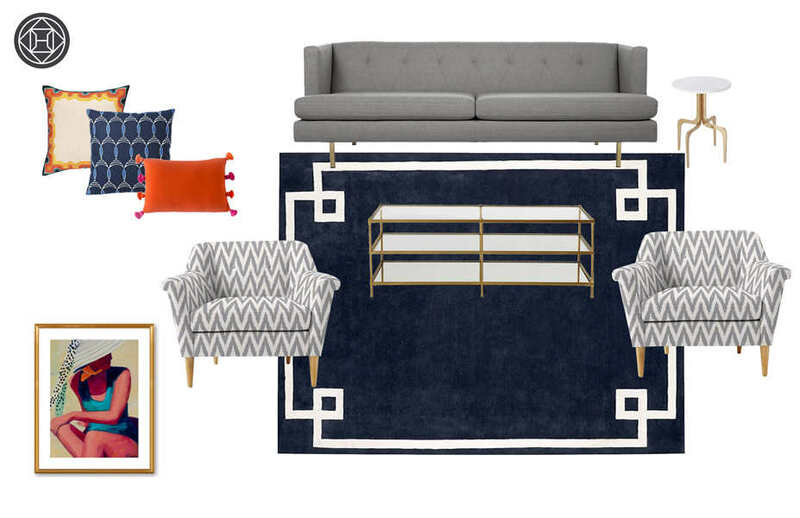 Kylee took Stacy's feedback to incorporate florals and rely less on neutrals, and she also incorporated a bold navy sofa in this concept. 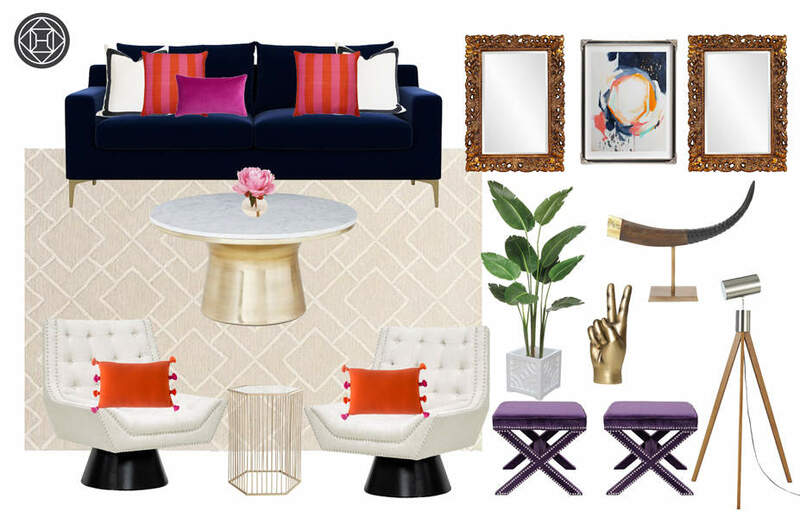 In concept two, Kylee leaned on glam color combos and a charcoal sofa to compliment the gold accents. Your designer will take your comments on product and styling and create a final rendering of your space, including suggested placement. See your final design, in your existing room! 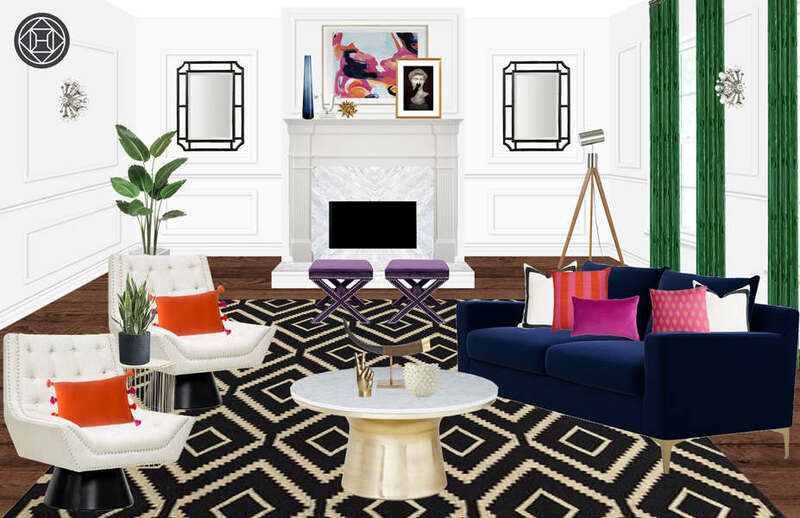 Thanks to the collaborative Havenly design process, Stacy’s final room rendering perfectly reflects her style and personality.